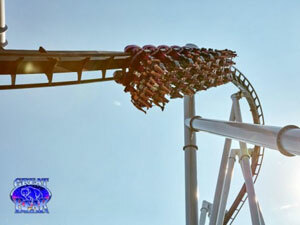 14 roller coasters, from kiddie rides to thrill rides and water coasters. Watch videos of each coaster. 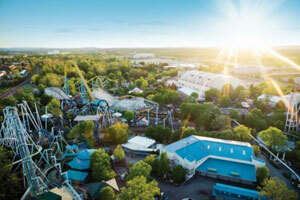 The Boardwalk at HersheyPark, an 11-acre water park offering 16 different rides, from children’s rides to thrill rides. Family Rides for all ages. Kiddie Rides, with more than 20 rides just for kids. 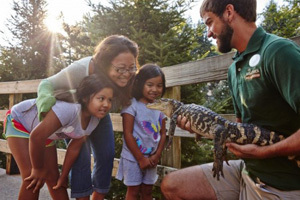 ZooAmerica North American Wildlife Park, an 11-acre wildlife park with over 300 animals. Spring – Open select weekends from late March through May. Summer – Open daily Memorial Day through Labor Day. Fall – Open select weekends in September. Hersheypark in the Dark – Friday and Saturday nights, October 19 – November 4, 2018. Hersheypark Christmas Candyland – Select dates November – December. Hersheypark was founded in 1907 by Milton S. Hershey, who also started Hershey’s Cocolate, the Hershey Theatre, and the Milton Hershey School.